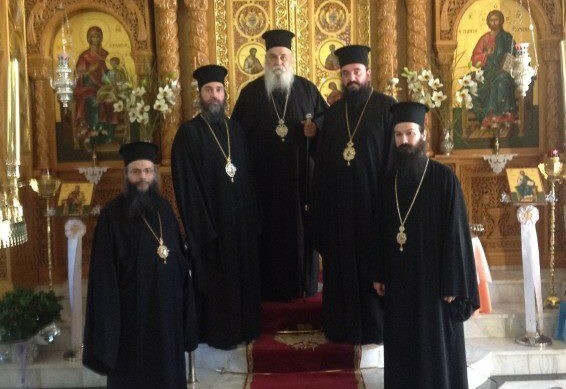 According to the website of the Holy Metropolis of the GOC of America, Archbishop Kallinikos of Athens will visit North America, at the invitation of Metropolitan Pavlos of Astoria. The visit will take place from Friday September 28th to Monday October 8th, 2012. Abp. Kallinikos will be accompanied in his visit by Met. Chyrsostomos ofAttica and Boeotia and Bp. Photios of Marathon. According to the wbsite, an eparchal synod meeting will be held, including all the newly received bishops.